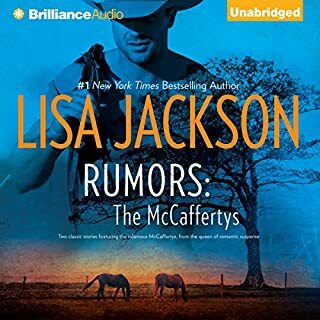 When Thorne McCafferty rushes home to the family ranch, he is thinking only about whether his sister Randi will survive the car wreck that has put her in the hospital. He never expects that Randi’s E.R. doctor will be Nicole Stevenson.Nicole has never forgotten the teenage passion she shared with Thorne… or the sting of his unexplained rejection. Now she’s all grown up—but he still affects her in the very same way. Will they both be able to move beyond their pasts for a second chance at a happy ending? Young love — that was what Nadine and Hayden had. The kind of love that captures the soul and never dies. That is, until Hayden’s father swindled Nadine’s family, and they didn’t see each other for thirteen years. When his father suddenly dies, Hayden returns home to the family’s lakeside mansion — and to his first love. But Nadine and her two young sons aren’t quite ready to trust again. Soon Hayden is left trying to work through mistrust and misinformation to gain the love of the girl no amount of money could make him forget…. Vowing to make a fresh start, Sarah McAdams has come home to renovate the old Victorian mansion where she grew up. Her daughters, Jade and Gracie, aren’t impressed by the rundown property on the shores of Oregon’s wild Columbia River. As soon as they pull up the isolated drive, Sarah, too, is beset by uneasy memories - of her cold, distant mother, of the half-sister who vanished without a trace, and of a long-ago night when Sarah was found on the widow’s walk, feverish and delirious. "Sail Away": Adam Drake was determined to clear his name of the false charges that ruined his career at Montgomery Inns - and if that meant deceiving the hotelier’s beloved daughter, Marnie Montgomery, and even stowing away on her boat, so be it. "Million Dollar Baby": When Chandra Hill is awakened by a cry in the night, she is shocked to discover an abandoned newborn in her barn. Emergency room doctor Dallas O’Rourke finds himself bonding instantly with the baby - and the intriguing woman who brought him in. So very very disappointing; what a lousy book! 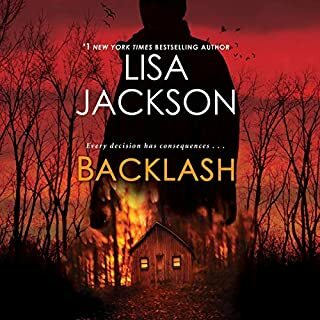 Famous criminal defense attorney Jackson Moore thought he had left his bad-boy past behind him — but his childhood sweetheart had different plans for him. Rachelle Tremont thought she could forget her tragic small-town history by writing about it in her nationally syndicated column. She hadn't counted on Jackson Moore's return, or on the way her blood ran hot at the sight of him. He was determined to discover the town's secrets with Rachelle — and in doing so, uncover some secrets of their own. 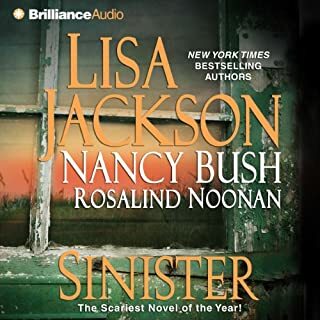 ©2012 Lisa Jackson (P)2012 Brilliance Audio, Inc.
A great listen! Wonderful story line with just the right tempo and character development. I loved the way the history and emotion between the two main characters developed and progressed. I've listened to other books in this series and enjoyed them all; this book is every bit as good and then some. Well worth the credit.